ID: 21 ~ Source: University Archives Photograph Collection, UA 8. ~ Creator: College of William and Mary. 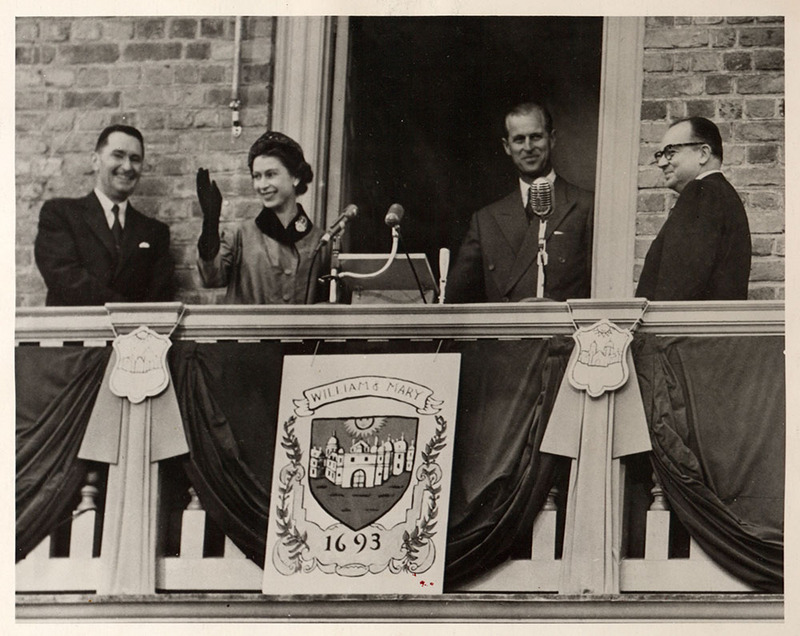 Queen Elizabeth II and Prince Phillip on Wren Balcony in 1957 during a visit to William & Mary. Also present are President Alvin Duke Chandler (r), and William & Mary Rector Robertson (l).